Brought to your by Sejda PDF, an easy to use rich PDF toolset powered by an open source engine. We’ve had integration with Google Drive for a while now. Instead of uploading a local file, you could just pick it from your Google Drive. But now things got even better. You can open your Google Drive files using Sejda right from the Google Drive UI. And then, once your Sejda results are ready, you can now save them directly to Google Drive. 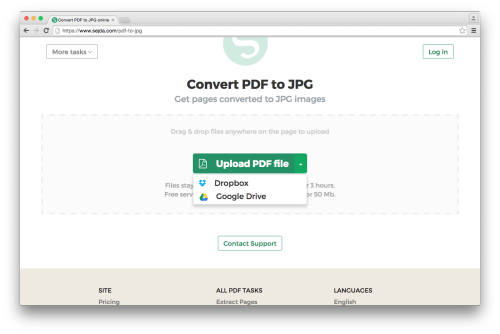 We think that’s going to make for a smoother integration with Google Drive. Let us know what you think! Happy PDF crunching!